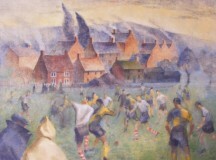 The Franklin White Collection is coming to Unique Auctions,Lincoln on the 28th and 29th September.The collection includes some 2,500 paintings and drawings by the artist Franklin White. 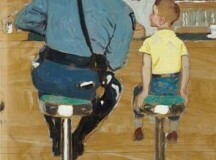 Christie’s Sale of American Art in New York on September 25 is lead by two superb Norman Rockwell drawings The Runaway and A Man’s Wife. The sale also features over 160 lots by eminent American artists, including Greg Wyatt, Mary Cassatt, and Mario Korbel, among others. 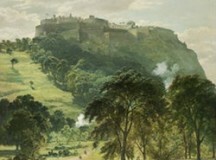 A recently rediscovered painting of Edinburgh Castle from Princes Street as it would have appeared to the Victorians is for sale at Bonhams Scottish Sale Part I in Edinburgh on 20 August. 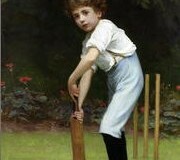 The original painting for one of the most famous British Victorian images is for sale at Bonhams 19th Century Paintings sale in London on 11 July. Edvard Munch’s The Scream, became the highest-priced artwork to ever sell at auction during Sotheby’s Impressionist & Modern Art Evening Sale, achieving $119,922,500. 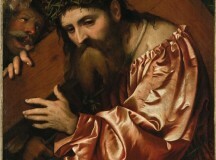 Christie’s is to auction a picture of Christ Carrying the Cross by Girolamo Romanino. The painting is a masterpiece of Girolamo Romanino’s fully mature style and among the most potent and moving depictions of the theme in 16th century Italian art. Bonhams is to auction a number of iconic images of celebrities including Kate Moss, Brigitte Bardot and Christy Turlington. 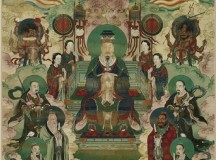 Sotheby’s will host Fine Classical Chinese Paintings, the first dedicated New York auction in this category for over a decade, on Tuesday 13 September 2011. 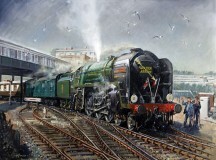 Bonhams are to sell The Golden Arrow by Terence Cuneo in their Modern Paintings auction on 20th September 2011 at Bonhams Knightsbridge. 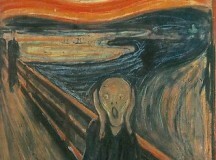 The painting is estimated to sell for £40,000-60,000. 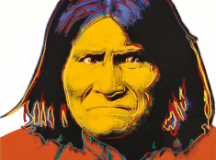 Two Andy Warhol prints both signed and numbered from his ten image series Cowboys and Indians will be available at Skinner’s Auctions.